This is a terrific scientific summary about ebola, viral levels, and infectivity! I have been waiting for this! Super psyched its from a student at PENN!!! Someone please send this to politicians, fear-mongerers, and anyone else suffering from FEAR-BOLA! Fear of Ebola has put many on high alert and there is increasing anxiety about the possibility of individuals with minimal exposure and no symptoms introducing the virus into communities – people such as Craig Spencer, the doctor who contracted Ebola while working in Guinea who then went bowling and rode the subway in New York before exhibiting symptoms. Fear has kept people away from school and work, despite reassurances from the World Health Organisation (WHO) and the American Centers for Disease Control and Prevention (CDC) that someone with Ebola becomes contagious only once they develop symptoms. In light of this, it is worthwhile explaining the data behind these assurances, which the WHO and CDC haven’t done, to make clear why we are so confident that people without symptoms can’t give you Ebola. There are five different known types of ebolavirus (the genus), including Zaire ebolavirus, which is behind the 2014 outbreak in West Africa. The best epidemiological data on Ebola virus (the disease) transmission comes from the 1995 outbreak in Kikwit, in the Democratic Republic of the Congo, which was caused by the same species as the current epidemic. The Kikwit outbreak marked the first appearance of EBOV since its initial discovery in 1976, and a team from the CDC and WHO extensively studied what interactions, and when, led to EBOV transmission. The team followed 173 household members of 27 active cases until the end of the outbreak. They were able to identify who became sick and which interactions between sick people and their family members during the incubation period, early illness, and late illness were associated with transmission. The biggest risk factors for becoming infected with Ebola virus, identified in the 1995 outbreak, and outbreaks in 1979 and a different species in 2000-2001, are direct physical contact with a sick person, primarily with bodily fluids such as blood, vomit, diarrhoea, and later in the disease, sweat and saliva. Ebola virus can survive outside the body for anywhere from hours to days, depending on the environmental conditions such as dampness and exposure to sunlight. Therefore, infection by contact with objects contaminated with bodily fluids is also theoretically possible, but is likely to be rare in practice. During the Kikwit outbreak, 95 family members of the 27 cases had direct physical contact with someone who was actually sick, and 28 of these individuals became sick with Ebola themselves. Of the 78 family members who did not have direct physical contact with a sick person, none got Ebola. Among these 78 were family members who had extensive contact with infected individuals during the incubation period, including such close interactions such as touching and sharing a bed. We also have data on virus levels in the blood that suggests people aren’t contagious before they are symptomatic. As the most infectious fluids are blood and vomit, the amount of virus in these fluids is a critical factor in whether an infected person can transmit the virus. During the 2000-2001 outbreak the virus was often just barely detectable at the first sign of symptoms and in other cases wasn’t detectable until two or three days later. We understand this to be true in West Africa today as well. 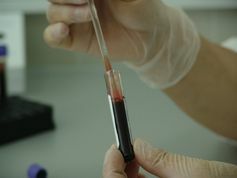 Our tests are extremely sensitive, and it’s clear that little virus is present in the blood when symptoms appear and even less during the incubation period, explaining why we aren’t able to diagnose people during this time. Without these high levels of virus in the blood and other fluids, it is exceedingly unlikely that someone would be contagious. To be fair, however, we never say never in biology and we can’t prove a negative, so no experiment could tell us that transmission during the incubation period is truly impossible. But what we do know is that it doesn’t seem to happen in past or current outbreaks and is biologically implausible. Rather than panic about getting Ebola from a seemingly uninfected neighbour, we should focus on isolating people at the first sign of symptoms so that when they do get sicker and become highly contagious, they aren’t in a position to infect anyone else. In light of Dallas nurse Amber Vinson’s recent travel on a commercial airline with a mild fever before she was diagnosed (now Ebola-free), many people want to know whether individuals in the early stage of the disease – say with just a fever – are contagious. School districts and employers have been treating Pham’s fellow airline passengers as being at risk of disease and as potential transmitters, but should they be? The answer is almost certainly no. Levels of virus in the blood increase rapidly following the onset of symptoms, but at this early stage people aren’t vomiting or bleeding, which would expose those around them to potentially infectious fluids, and onward transmission. While it’s true that virus can be found in fluids such as saliva and sweat, this mostly occurs later in disease, when the individual would be hospitalised. During the 1995 outbreak having a conversation, sharing a meal and sharing a bed with people in the early stage of disease were not associated with becoming infected oneself. Later in the disease this changes, but it seems clear that slightly sick people aren’t much of a risk to those around them. Anecdotally, we also now know that the family of Thomas Eric Duncan, the man who contracted Ebola in Liberia and was later cared for by Vinson and Nina Pham, remained healthy despite being in an apartment with him for the first several days of his illness. Knowing this, we shouldn’t be barring people with no direct exposure from school, or work. It’s not “an abundance of caution” to do this, it’s harmful. Unless you sat next to the sick nurse on that plane, your exposure was almost zero. If you did, you’re still almost certainly fine. If you had contact with her before she was sick, you definitely are. Still, it’s natural to worry, which is why we need to stop the epidemic in West Africa, mostly for them, but also so we can stop worrying about Ebola virus here at home. Stephen Goldstein does not work for, consult to, own shares in or receive funding from any company or organisation that would benefit from this article, and has no relevant affiliations.